After a fortnight of pulsating action in Melbourne, the identities of the women’s singles finalists at the Australian Open have finally revealed themselves. World number one Simona Halep will contest her third grand slam final after a titanic clash in the last four against former Aussie Open champion Angelique Kerber. Halep eventually prevailed 9-7 in a third set decider – saving two match points along the way. Her opponent in Saturday’s final will be Caroline Wozniacki, the world number three for whom this will also be a third appearance in a major final. The Dane’s route to the final was rather more straightforward, seeing off Elise Mertens 6-3 7-6. So the scene is set for an intriguing conclusion to the first grand slam event of 2018. One of these outstanding talents will claim the first major title of their career – a long time coming, given their status in the game. Who will take the spoils with what is sure to be an emotional victory? The respective paths the pair have taken to reach the final could not have been more different. 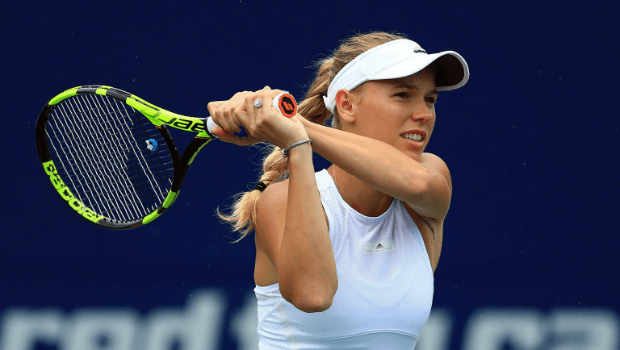 For Wozniacki, progress has appeared almost too smooth at times. She has dropped just two sets so far – and both of those were as a consequence of complacency rather than being outfoxed. Ranked 103 in the world – in the last 64, before roaring back to win 6-2 7-5. After ‘bagling’ (that’s winning to 0 for the uninitiated) Carlos Suarez-Navarro in the first set of their quarter-final, she took her foot off the gas and shipped the second. Wozniacki went on to triumph in the decider 6-2. The 27-year-old should look on this with positivity: she has navigated her way to the final without ever looking in any real trouble. Her court time has been minimal and she should feel fresh heading into Saturday’s conclusion. Compare and contrast that to the rocky road walked by Halep. By that token, Wozniacki would be the favourite on paper, although the bookmakers don’t see it that way. The Dane is considered an outsider, with an industry best price of 5/4 available at Ladbrokes. Halep, the world number one, has assumed the favourite spot at odds of 7/10 with other top sportsbooks. As mentioned, both of these players have sampled the pressure of a grand slam final and are now experienced in the emotional roller coaster of such a prominent stage – and both have come out empty handed. Halep was the higher seed in both her previous finals despite falling in both. At the 2014 French Open, she was defeated by Maria Sharapova despite being fancied to get the job done on her favourite surface. And in 2017, again at Roland Garros, she came up short to the virctory, losing to the unseeded Jelena Ostapenko despite taking the first set of the match. The Romanian started that latter final as a firm 1/4 favourite with Ladbrokes; her seeming inability to handle the spotlight when it’s shining at its brightest is a concern for her supporters. We must pose the question: does Halep choke under pressure? Wozniacki is a two-time losing major finalist as well of course, although the context of her defeats is slightly different. She was just 19 when she met the vastly more experienced Kim Clijsters in the 2009 edition of the US Open and in the 2014 final she was simply outclassed by Serena Williams. There’s no shame in being outplayed by Williams on her home turf; Wozniacki is in fine company on that front. And so you should be inclined to back the Dane as a part of your tennis betting strategy. She's fresher than Halep, arguably in better form and a winner in their last three head-to-head meetings. For Halep, the ghosts of finals past may come back to haunt her once more. If you're interested in seeing all the different markets and odds offered for this weekend's grand slam final, visit Ladbrokes now and sign up for a new account to receive a generous welcome bonus to use with your first action!